Book – Redwing Keyssar, R.N. Also available at Kindle. Signed copies available directly from the author. 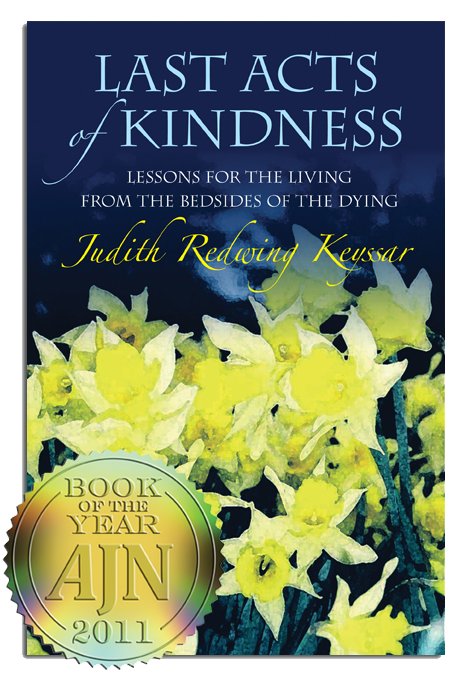 "In these chronicles of a midwife to the dying, Judith Redwing Keyssar speaks eloquently and from her heart about her extensive experience in the field of palliative care––providing nursing expertise along with emotional and spiritual guidance and support for people in hospitals, residential facilities, and in their own homes. Keyssar encourages us to examine our personal relationships to impermanence and to consider the changes needed in our healthcare system to better serve us all at the end of life. When Plato was asked to sum up his life’s work, he simply stated, “Practice dying.” Last Acts of Kindness allows a glimpse into this practice through the stories of those who have lived and died among us. 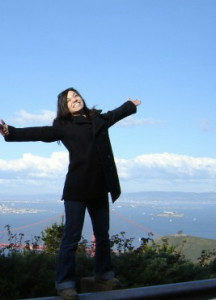 How would your feelings change if you were the doctor, nurse, social worker, chaplain, family member, or patient? Which person in the story do you feel the most affinity for or aversion to? How would you communicate with that person? These stories carry a profound message about the core of the healing process – it’s about the power of relationships and human connections. Harvard Professor, Dr Francis Peabody, said it best nearly a hundred years ago when he said, “The secret of the care of the patient is in caring for the patient". Illustrated with the compelling and poignant stories of patients facing the end of life in different settings, Redwing Keyssar’s book offers clinicians a chance to quietly and honestly consider the deep meanings of what we do. Reading this we will learn how to be more present and more helpful to those we serve. But in some ways, the finest gifts are reserved for us personally. In reading these stories, we will grow in appreciation of the sacred privileges of our work and the wonder and connection of our own lives. The Last Acts of Kindness… is indeed a wonderful message to the living woven together in a beautiful quilt from the bedsides of the dying. This collection of life stories asks the reader to think deeply about death as a spiritual experience rather than a medical failure . It is written from the vision of an expert midwife to the dying, Redwing Keyssar and is rich in clinical wisdom. Utilizing the power of story, Redwing uses her gifts to teach and remind us of the many lessons inherent in the journey of dying and death. Reading as both nurse and person, I am gently guided in, and reminded of, the essential lessons Redwing has captured in her lovingly told stories. I finish Redwing’s path of story filled with hope, gratitude, comfort, and possibility. —Betty J. Carmack, R.N., Ed.D. I’ve bought this book to give it to colleagues, and folks I hope will be inspired to become colleagues. Last Acts of Kindness is an important part of my toolkit for explaining hospice and palliative medicine to the lay community. Every hospice volunteer should read it. All hospice librarians need to have it in their collection.